On the eve of the 90th anniversary of the Easter Rising, mainstream political parties are actively competing for the legacy of Ireland’s historical revolution. The government has already announced that the state will officially mark the occasion on April 16 with a military parade past the General Post Office in O’Connell Street, site of rebel headquarters during the Rising. Some 2,500 personnel from the Defense Forces will take part in the parade, and the Air Corps will perform a fly-past. Ceremonies will conclude with a state reception at Dublin Castle. 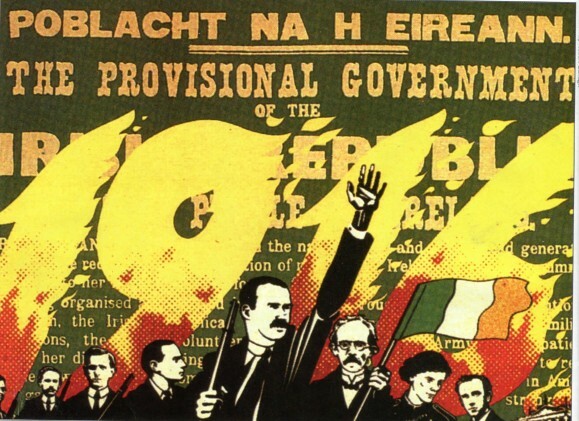 In recent years the Irish state treated 1916 as a low-profile commemoration because of the association between the ‘Old IRA’ – the Irish Republican Army who fought in 1916 – and the present-day Provisional IRA outlawed by the Irish state. However, with an eye firmly fixed on centenary celebrations in 2016, mainstream parties have revised their public pronouncements on the Easter Rising. In a spirit of ‘reclaiming the Rising,’ commemorative events have moved from background action to center stage. Taoiseach (Irish prime minister) Bertie Ahern has already invited suggestions from Dáil TDs (parliamentarians) on a centenary program. The President’s remarks reignited arguments on whether modern Ireland was defined by 1916 or whether progress towards national independence was hindered by those events. Her address also reopened the debate on whether the legacy of 1916 was to justify violence and glorify blood sacrifice in the pursuit of Irish independence.